If you’re gullible enough to have posted your personal information and photos on Facebook but now realize you’ve been betrayed, don’t come crying to me. I have no sympathy for your loss. Caveat emptor, people. And don’t go crying to Facebook founder Mark Zuckerberg. He has no sympathy for your loss either, despite his many tiresome apologies. If he did, he wouldn’t have launched such an astonishingly irresponsible internet platform. Last month Zuckerberg admitted that thieves have stolen personal information of nearly all of Facebook’s two billion monthly users. Not to mention having — oops! — inadvertently hosted foreign attempts to subvert our presidential election and — oh, so sorry! — carelessly facilitated murderous mayhem in politically unstable countries. Complaints to Facebook about its role in abetting mob violence abroad are unavailing, say critics. Facebook claims it’s now hiring native speakers capable of recognizing posts that incite violence. Duh, guys. 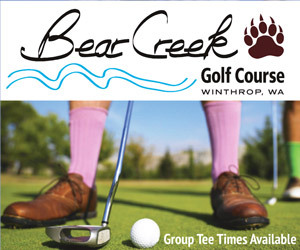 Here’s an idea: don’t market your product until it works as intended. But don’t expect Zuckerberg to fix the mess he’s made. He can’t. He’s lost control of his invention. Facebook put the cart before the horse, then sent this hellish contraption off to market minus driver, reins or brakes. Why? Incompetence and greed spring unhappily to mind. It will take five to 10 years to develop the artificial intelligence necessary to stop evil-doers from ill-intentioned postings and thieves from scooping up your personal information and that of “friends” with whom you “share” on Facebook, Zuckerberg recently speculated — unapologetically! — to Congress. Umm … Isn’t this where businesses doing demonstrable public harm suffer meaningful consequences? Nope. Not hereabouts. The world’s largest surveillance and data collection operation, Facebook has turned the humdrum details of your life into “content” worth $40 billion a year, thanks to barely a whisper of government regulation and a business model all but devoid of consumer protections. But mostly thanks to you. Your richly informative postings make all this wealth, political mayhem and crime possible. Is Facebook’s massive breach of the public trust the result of breathtaking negligence by a convocation of simpletons? Or is it just old-fashioned consumer fraud? I lean, slightly, to the simpleton theory. Zuckerberg seems lost in a puerile fantasy: that an internet platform where everyone freely “shares” will be utilized only by people of good will who “like” love and peace, not hate and theft. When warned that Facebook had been used by foreign agents to spread falsehoods meant to undermine the 2016 election, Zuckerberg dismissed it as “a pretty crazy idea.” Then came acknowledgement of the site’s 3,400 Russian-sourced political ads. Undaunted, Facebook continues to brazenly test our tolerance for relentless invasion and monetizing of our lives, rightly betting — so far — that we’ll trade privacy for convenience and “friends.” Yet it’s hard to conjure a more consumer unfriendly product. Facebook’s “terms of service” say you own everything you post. Facebook also insists it never “sells” your data. This doesn’t pass the sniff test, to put it kindly. You use Facebook for “free.” In exchange, however, you agree that Facebook can do whatever it wants with whatever you post. You don’t formally “sell” ownership of your postings, but you do “license” them to Facebook. Then, for a fee, Facebook can “license” your data to whomever it wants, so they too can profit from it. An upfront, transparent Facebook that simply charged you a monthly user fee and didn’t monetize your life apparently was unthinkable. Possibly un-American. Defenders of the status quo lamely argue that your data is anonymous. But internet security experts say so many sites contain bits of your life that it’s become child’s play to identify you. Zuckerberg now claims to be looking for hinges on which to hang a barn door. However, the horse carrying Facebookers’ data has irretrievably fled into eternal cyberspace. It took two years for Facebook to reveal that the contact information, “likes,” photos, etc., of 87 million American users — likely including 1.4 million Washingtonians — was obtained, pre-election, by Cambridge Analytica, the profiling firm associated with President Trump’s former chief of staff, Steve Bannon. No Facebookers, nor their unsuspecting “friends,” were notified. Zuckerberg seems to have skipped doing rudimentary due diligence to prevent his business from doing harm. Yet Facebook is upping its game, poised to pass on its trove of Facebookers’ personal medical information — scraped off its patient support sites — to insurers and big pharma. With standard-issue assurances that it’s all “anonymous,” of course. Federal regulators in 2011 ordered Facebook to tighten its privacy protections and an independent monitor was to report on Facebook’s compliance. But Facebook was allowed to choose the “independent” monitor and — surprise! — received high marks for security. So much for government oversight. Is anyone besides mindless bots minding this store? Given Zuckerberg’s unsteady grasp of common sense, it seems prudent to ask: Is he himself a bot? Do go crying to Congress, even though protecting the world from Facebook’s dangerous foolishness seems way above those people’s pay grade. Then, let’s talk about “Do No Evil” Google. 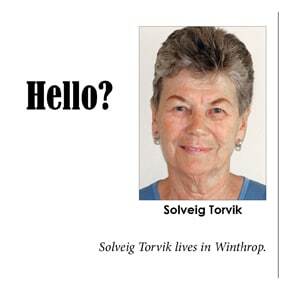 Solveig Torvik, a former consumer affairs reporter, lives in Winthrop.